Printed on 250-350 gsm silk card. 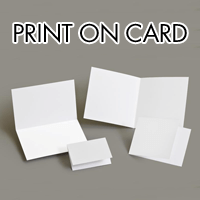 Great for invitations and postcards. All prices shown include VAT. 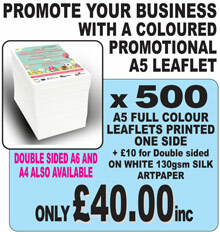 There is a minimum charge of £1 on copies and £2 on digital prints through email or USB stick. Printed on 250-350 gsm silk card. Great for invitations and menus. 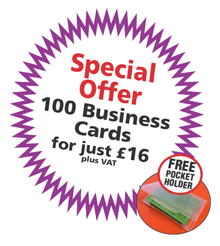 Printed on 160-350 gsm silk card. There is a minimum charge of £2 inc. VAT. If you want your colour prints to reach the borders of the paper, we will print it on a bigger size SRA3 sheet and cut it to size (please see Be Print Ready). A3 to A4, A4 to A5, A5 to A6 add 0.10p per score per 25 sheets.